On Wednesday 3 April, the full cast of the American fantasy drama TV series Game of Thrones all turned out for the NY premiere of the 8th and final season. Gwendoline Christie, Maisie Williams, Sophie Turner, Isaac Hempstead Wright, Emilia Clarke and Kit Harington, all arrived on the red carpet and spoke of their exhilaration about filming the final episode of this hit show. Emilia, who plays Daenerys Targaryen in this television series, told The Hollywood Reporter that it is crazy, she feels great, weird and strange. She added that she is a little overwhelmed at the moment. The 20-year-old Hempstead, who plays Bran Stark, stated that he is usually very good at these types of events because they have done so many, such that they have become familiar with doing the press lines. However, he acknowledged that this was different. Everyone has a feeling that something exciting is happening. He continued saying that it is very hard to understate Game of Thrones legacy. It has changed the face of TV forever. Jerome Patrick Flynn, an English actor and singer who plays Bronn, said that George Raymond Richard Martin, the creator of Game of Thrones, had created a great allegory while writing the series of epic fantasy novels. The English actress and model Gwendoline Tracey Philippa Christie told Variety, a weekly entertainment trade magazine, that she believed the emergence of social media occurred at the same time with the early seasons of this award-winning show. This provided fans with the chance to voice their opinion for interesting and complex characters. They heard what audiences want, which was more complex female characters and female characters in general. She added that something she is deeply proud of on this fantasy drama is that the show has acknowledged the books. The show took the characters who are exquisitely drawn and portrayed in the books and made sure that it has kept that in the television show. Christie thinks the huge phenomena is that the show has shown that people would like to see female characters because they are interested in these stories. The last season of this fantasy drama will reach television screens on 14 April this year. UK fans can watch the show on NowTV and Sky Atlantic. Sunday’s premiere will be 54 minutes long, making it the shortest episode in season 8. The third episode is the longest one, with a runtime of one hour 22 minutes. 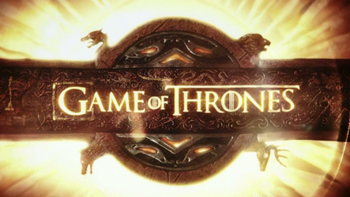 Game of Thrones is filmed in Belfast in the United Kingdom and elsewhere in the United States, Spain, Scotland, Morocco, Malta, Iceland, Croatia, Canada and Northern Ireland. The show has been acclaimed by critics, especially for its acting, production values, scope and complex characters.